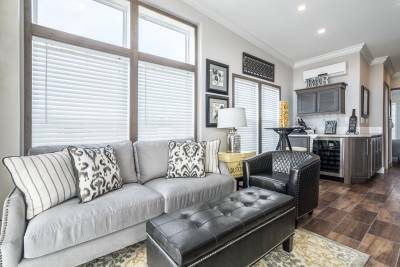 With so many available floor plan options, there's no two memories with an Athens Park Model RV will be exactly be the same. 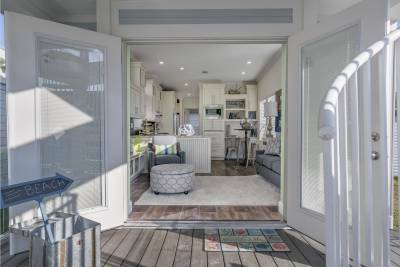 With so many available options — and more developed every day — no two memories with an Athens Park Model RV will be exactly the same, inside or out. 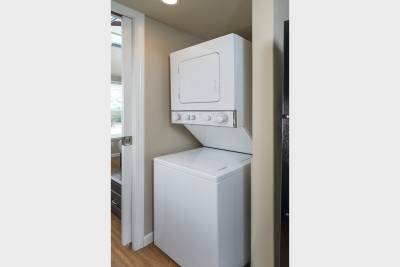 Need the convenience of the most current kitchen appliances? 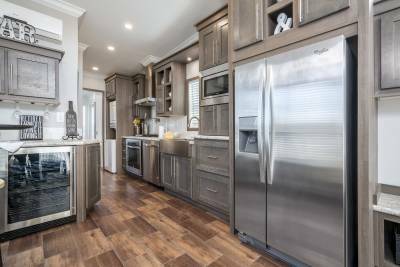 We offer built-in microwaves, dishwashers, countertop ranges and convection ovens, with most available in white, black or stainless steel. Want to outfit your park model RV with even more elegance? Ask about our stylish furniture packages. If you want even more living space inside, add a loft or clerestory dormer. Most of our facilities offer Smart Panel or Smart Lap, Cempanel or Cemplank siding, as well as residential vinyl siding in some markets. These exterior applications give Athens Park model RVs the sharpest exterior looks in the industry. For a more cabin-like look, we can stain or paint the siding a cedar color, resulting in a more durable, long-lasting rustic appearance. 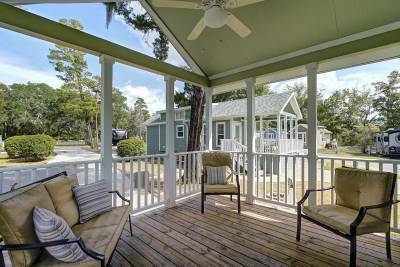 In addition, you can enhance your Park Model with a porch on the front, back or both, giving you more room to enjoy your outdoor experience. 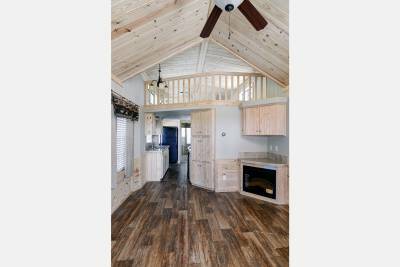 You can also add a loft to most floor plans for more storage or sleeping space. Extra high sidewalls and ceilings. All of our park models come standard with a distinctive look you deserve. You shouldn’t have to sacrifice quality when you escape the everyday. Contact Athens Park RVs today for all of the living you need ... without any of the hassle.